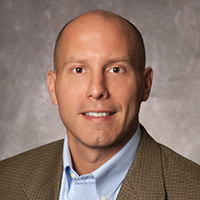 Mike Prusaczyk is vice president, enterprise architecture and IT strategy for Panera Bread. In his role, Mike is responsible for driving out Panera’s IT Strategy and defining future state architecture. In addition, Mike also has responsibility for overall Data Architecture and Management which includes the technical ownership of the Customer Hub and Data Lake that supports the MyPanera Loyalty Program. In 2018, Mike expanded his responsibilities to include Café Systems which involves the leadership of all development efforts associated with Panera’s proprietary point of sale and kitchen systems. With his technical ownership of several key components, Mike plays a leading role in helping Panera evolve their Omni-Channel technology solution that aims to deliver a personalized and consistent experience for Panera’s customers.